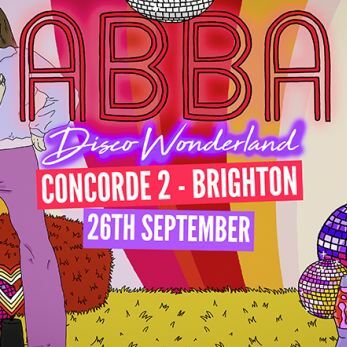 On an ordinary evening, Brighton was gifted a feel good party like never before... Join us as we pay homage to the greatest band alive: ABBA. Yes, you heard right. Bringing not just another disco night but a whole new experience as ABBA's Disco Wonderland's tour comes to town! Join us for an extravaganza of soul shaking and body rocking disco classics alongside the greatest hits from the legendary ABBA. We invite you to our fiesta of our feel good anthems and the miraculous night you’ve been searching for. Join us. Get ready to be transported into a Disco Wonderland, with wall to wall decor to blow you straight into the 70's and come pay tribute with us to the best group in the world! The best ABBA tribute night in the world!